As a cofounder and the CSO of Avatar Nutrition, The Fit Dietitian helps people use flexible dieting to achieve their goals. Flexible dieting is the most scientific way to reach your goals. That's because the flexible diet isn't really a diet at all. Instead, it's a scientific approach to dieting where you can eat any food you like as long as the carbohydrate, protein, and fat in each of these foods add up to a specified total at the end of the day. Most popular fad diets are based on the idea that there are certain magical foods that are good for fat loss, and inherently bad foods that will cause fat gain. But from a scientific perspective, your body doesn't categorize foods as "good" or "bad" and store fat accordingly, it simply breaks down the carbs, protein, and fat in the food you eat. So when it comes to losing weight and keeping it off, what matters isn't what specific foods you are eating, but whether your total daily intake of carbs, fat, and protein in this food is at the level necessary to bring about fat loss. 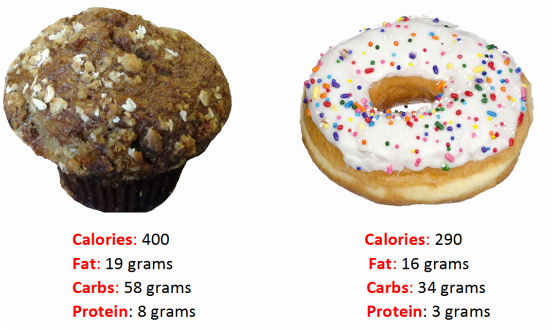 It's easy to see why simply trying to eat "healthy" isn't a very effective method for weight loss. To meet your goals, you need to take the guesswork out of things by using a formula that really works. By controlling your intake of protein, carbs, and fat you can ensure that you're progressing in an organized fashion toward meeting your goals. Why not just count calories? Sure, you will lose weight if you cut calories, but by tracking your protein, carb, and fat intake you can make sure that the weight you are losing is primarily from fat rather than muscle. By hitting your protein goals you ensure that muscle loss is minimized and that your metabolism remains as high as possible. Protein also helps keep you fuller and happier while restricting calories. By hitting your target carb and fat goals you ensure that you have the energy to keep performing well at work, home, or in the gym.